Last year I was walking through Home Depot a few days after Halloween and I stumbled across some picked over Halloween props. Everything was marked down 75% so I loaded up on a few lower tier animated props that I vowed to do something with this year. 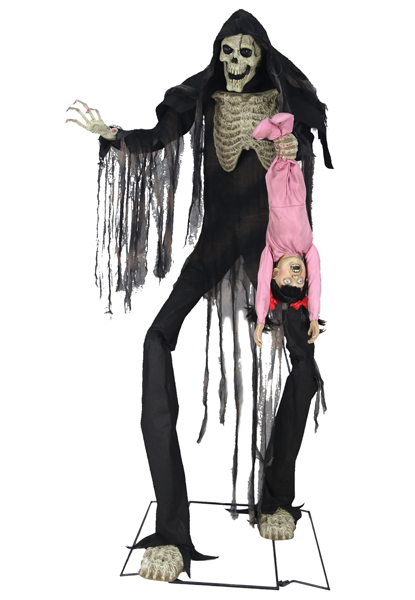 One of the most interesting one was the Home Accents Angel of Death. Here’s a video of the Angel of Death in action. 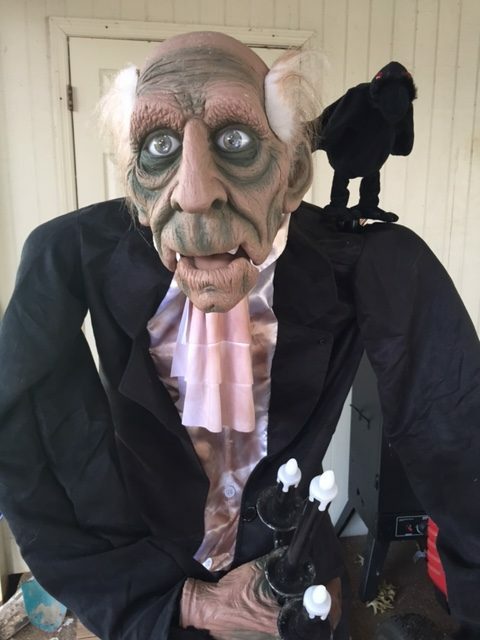 The prop is over 6′ tall and his eyes light up when he’s activated. His arms move and the wings on his back start to move back and forth as if he’s about to take flight and look for another victim. The Angel of Death has one pretty long saying he will repeat when he’s activated. I am the demon of the underworld. I’m watching you. Try to run. Try to hide. I’ll fly through the night to find you. I’m watching you. You’ll never escape the Demon of Death! 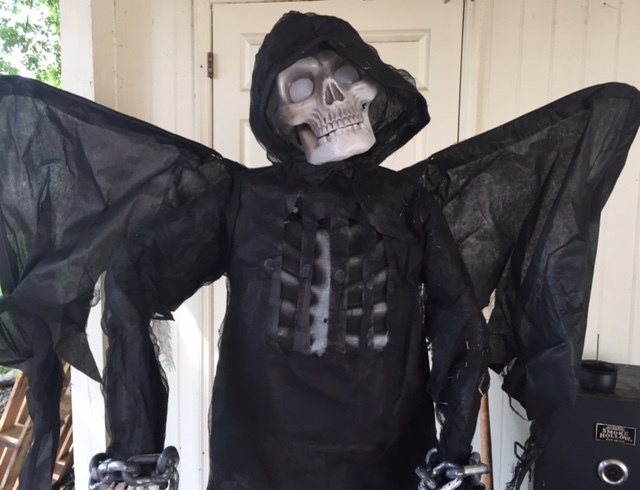 The Angel of Death is pretty easy to assemble and not very scary once you put him together. 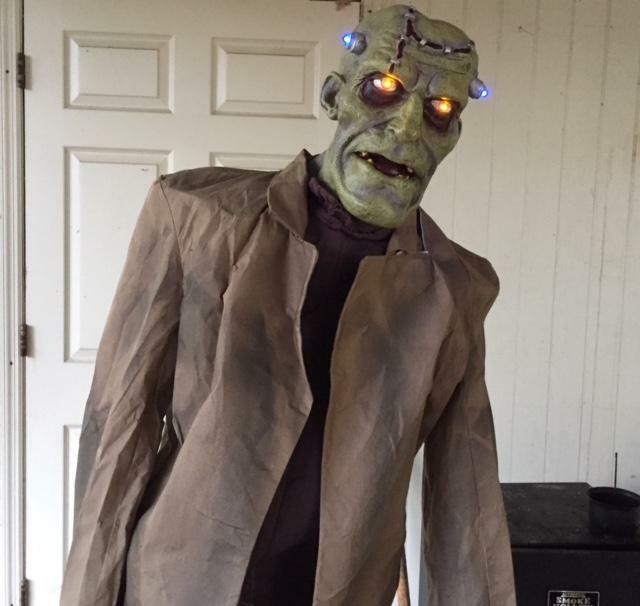 I tend to divide my Halloween props into two groups: Scary and kid friendly. 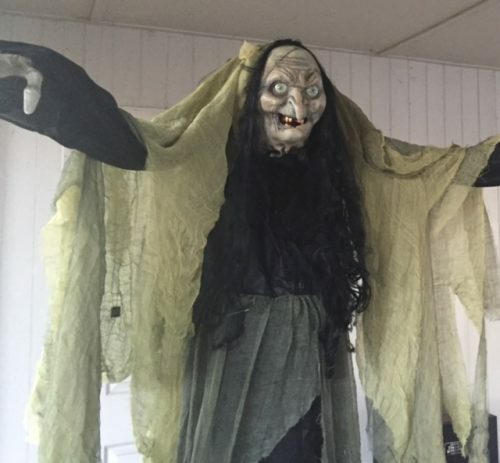 The Angel of Death definitely goes into the kid-friendly category because he’s not going to scare a small child when they walk to your door on Halloween. They might look him over but he’s not going to jump out at them. I hate the sound his mouth makes when the talks. It’s like he’s beating a small drum but it’s just the two pieces of plastic on his face beating together that makes such an annoying sound. The Angel of Death comes with two big plastic chains but I took them off because I might use them for something else. The prop is no longer for sale at Home Depot. You can find some higher quality version on Amazon.com from Morris Costumes but the Home Accents version was likely a one shot deal in 2016.